For our Free Blog Post topic, I decided to select 5 websites that successfully drove traffic to their site and identify why their users are attracted to it. I first started by thinking of my favorite brands/websites and what was so unique about them. (Fitbit.com, Apple.com, Airbnb.com, Nike.com, TheNorthFace.com) Understanding, why I liked these sites was a great first step to understand why their audience is attracted to their website. 1. Airbnb– Does a great job marketing their content through story-telling. Further more, they use SEO keywords to expose their listings and use responsive design to improve their Google search ranking. 2. Adobe Stock – Converts their users to subscribers with great deals and brand value. Being a contributor adds an incentive to become a subscriber and exposes your photography to millions of people. Their Free Month Trial and 10 free images to get started is a win, win. 3. 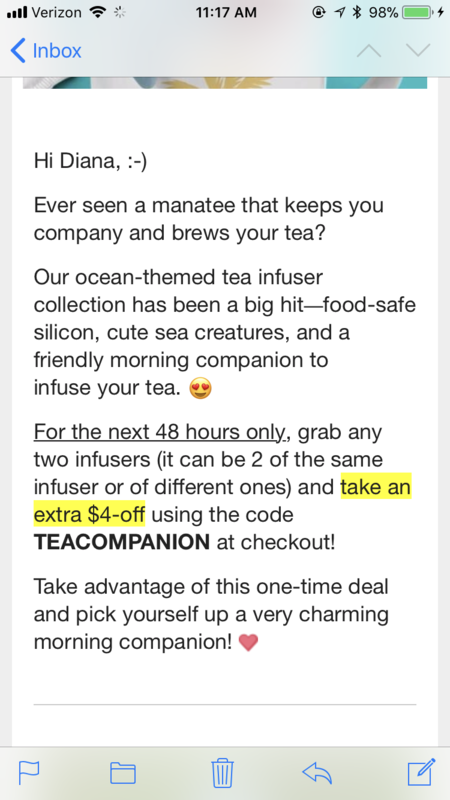 Save Our Oceans – Uses email marketing to successfully bring users to their site and make online purchases. Great offers = happy customers = sharing post and word of company. They also do a great job keeping their audience engaged and educated on all of their social media platforms. 4. M&M – Targets their users by age to provide personalized experiences. Their M&M generator allows their customers to personalize products and share they to social media. They also take advantage of promotion code marketing on their site for their users to take advantage of. 5. Fitbit – Fitbit uses optimized videos and story-telling on their website. Fitbit also has a fitness blog that uses optimized imagery for quick upload speeds as well as SEO keywords that send traffic back to their site. Airbnb does an incredible job storytelling throughout their site. Airbnb spends approximately 23.5 million U.S dollars a year on advertising. They are valued at 31 billion U.S dollars as of May 2017, with total equity funding of around 3.3 billion U.S dollars. Airbnb’s content strategy and elaborate use of digital storytelling differentiates Airbnb from their competitors. Airbnb stands for something much bigger than travel. Airbnb builds a mass community of relationships using technology for the purpose of bringing people together through storytelling. The search box serves a door opening to your journey on Airbnb.com. When you arrive on the Airbnb homepage, the first element the users will often focus their attention on is the search box. The search box serves a door opening to your journey on Airbnb.com. This is ultimately where the users will begin their adventurous digital journey. You can search for experiences, homes and restaurants on Airbnb’s website. They also give their users recommendations, such as popular reservations, featured destinations and recommended experiences based on your location. Airbnb targets their users with personalized messaging and experiences to serve them the best experience on desktop, tablet and mobile on Airbnb.com. Airbnb is using this old-fashion marketing to continue the story you begin on Airbnb's website. Airbnbmag takes storytelling to a whole new level on print. Airbnbmag relies on it’s users searches to determine what they will include in your personalized Airbnbmag magazine. It is evident that Airbnb is using this old-fashion marketing to continue the story you begin on Airbnb’s website. What’s interesting about this is that Airbnb’s magazine introduces a new way for their audience to interact, connect and share Aibnb’s content. Furthermore, it targets different audiences. Such as users who are not highly dependable on technology or local shops that have a Airbnbmag subscription lying around. It is amazing what Airbnb can learn and produce from online research. Adobe Stock provides a wide range of stock images on a monthly subscription. Unlike, other stock image serves Adobe offers Creative Cloud subscribers a discounted stock image plan. This encourages Adobe Creative Cloud users to chose Adobe Stock over similar services, such as Getty or Shutterstock. It is evident that Adobe Stock uses their content marketing promotions to drive traffic to their online stock image service. You can get 10 free images to start. Using the word free is an excellent word to use in your marketing content when applicable. This will not only drive users to your website, but also will encourage them to share the promotion to their friends and family. Adobe Stock’s SEO ranking score over other leading brands in the stock image service. Adobe Stock also exposes their value for those who want to contribute to their stock photo gallery. Selling your media content to the world’s largest creative community is compelling and fun. Users looking to make profit off their photography will benefit from Adobe’s service. The combination of Adobe Stock’s content marketing perks and value increase traffic, time-on-page, conversion rates and their referral traffic. 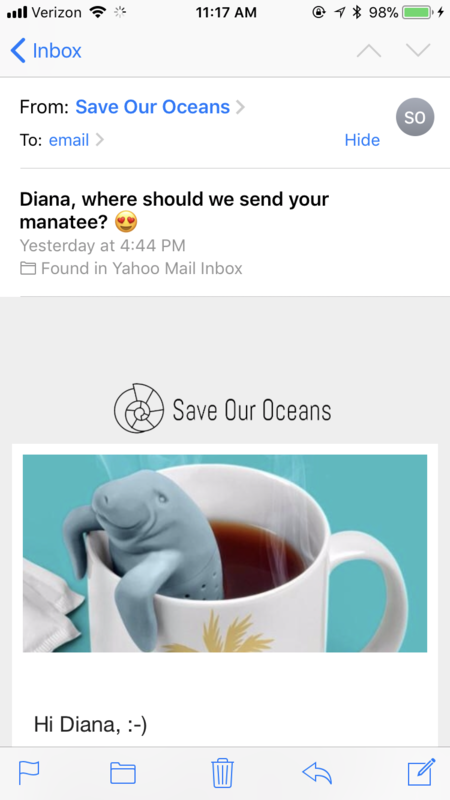 Save Our Oceans is not a very common site, although I found their content marketing strategy and emails to be highly interactive and positive. Their emails are essentially what gets their users in the door. 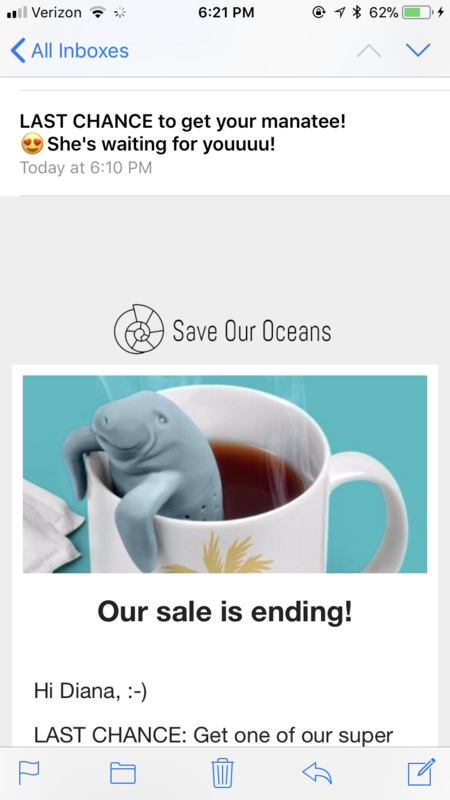 I came across Save Our Ocean’s website from an advertisement on Facebook. This is how myself and thousands of other users were referred to their site. As you can see they effectively use email marketing to drive traffic to their website. It is evident that their focus on email marketing is attracting new customers. Email marketing is a very powerful tool to convert users to customers. I was redirected to their website here, after clicking on their advertisement on Facebook. I purchased this ring for free 🙂 (plus 4 dollars shipping and handling). This was the beginning of their personalized emails sent directly to my inbox. 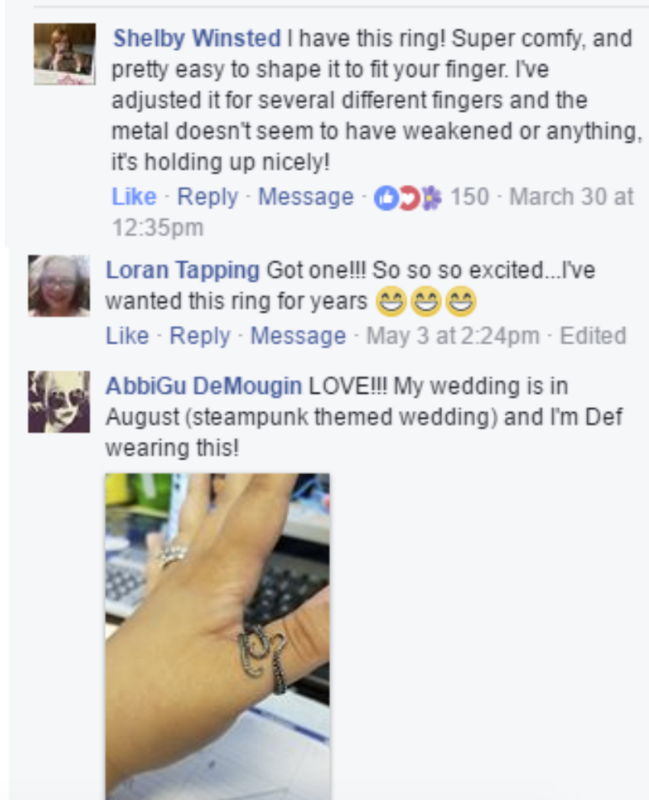 If you’re lucky their ring may still be free. 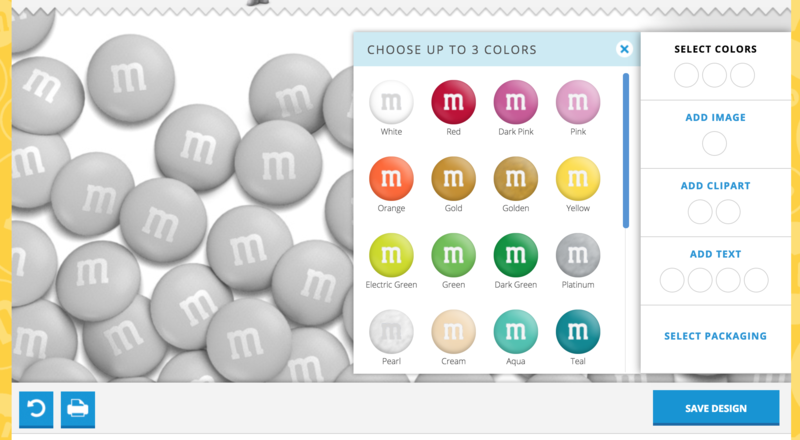 M&M.com uses personalization to target specific audiences to their website. 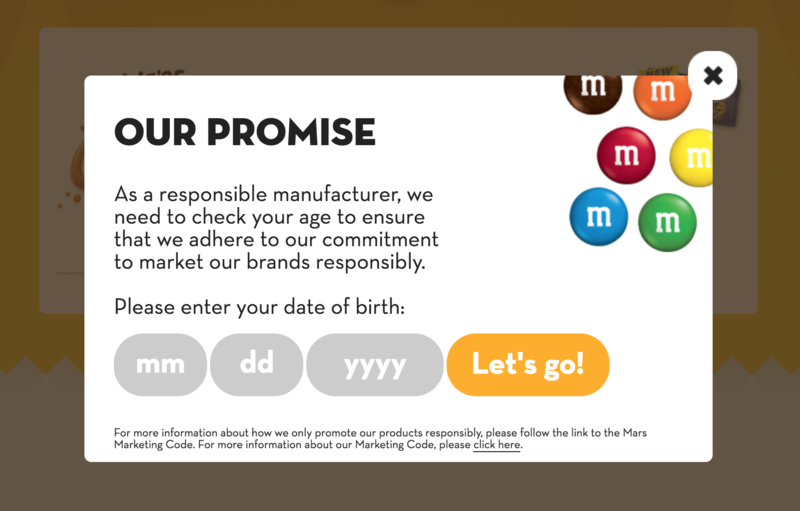 What I found interesting about M&M.com is that before you enter their site a dialog box will appear asking you what your birth date was. Although, I found this to be a bit frustrating as a user trying to access their site, I recognized the benefit that this solution provides within their experience. Depending on how old you are the site will differ. If you are 12 or under, you will see candy targeting younger kids. If you are older than 12 you will no longer see M&M’s products targeting young kids. M&M uses promotion codes to drive traffic to their site and reduce their bounce rate. Customers who are given promotions while browsing their purchase are more likely to stay. This is why promotion codes can easily direct traffic to your website. 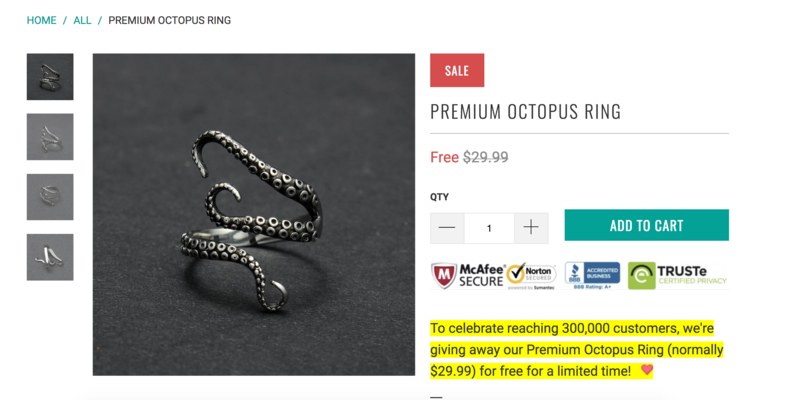 Popular sites like and coupons.com and retailmenot.com expose promotion codes which will ultimately refer customers to your website. Fitbit has been my favorite site since their second tracker, Fitbit Flex was introduced in 2003. So, I couldn’t help but to add it into my list. As a web designer and an active customer it’s been fascinating to see their website and mobile application evolve into a huge success. Fitbit does a great job pushing traffic to their through motivating social media content and marketing techniques. I love Fitbit’s flat UI design elements, professional lifestyle imagery and interactive branding elements. Their product description pages combine compelling imagery and interactive elements to drive customers to their website. I find that these pages tell a great story and trigger emotional connections for users to absorb. They create lasting impressions that will bring returning users to their site. Ultimately, increasing their websites bounce rate. Word of mouth from leading technology companies can often generate and increases exposure and reliability. When these type of articles are shared, so does the traffic to their website. Fit Coach is an iOS and Android application that creates personalized workouts that adjust to your capabilities, feedback and goals. The application is free and the user does not have to own a Fitbit. These qualities are important, because they will educate and introduce the user about Fitbit the brand and their website prior to purchasing their device. Adobe Stock. Web. 21 December 2019. Airbnb. Web. 22 December 2019. www.airbnb.com/about. Baxter, Kathy. Morgan Kaufmann Publishers Inc. Print. Understanding your Users: A Practical Guide to User Research Methods. July 2015. Farrell, Susan. UX Research Cheat Sheet. Web. 20 December 2019. https://www.nngroup.com/articles/ux-research-cheat-sheet/. Fitbit. Web. 21 December 2019. www.fitbit.com. M&M. Web. 22 December 2019. www.mandm.com/about. Save Our Oceans. Web. 22 December 2019. www.saveouroceans.com.